wisdom from one of my personal heroes (daily hot! quote) – AmyJalapeño! The moment I know I am virtuous, I cease to be virtuous. 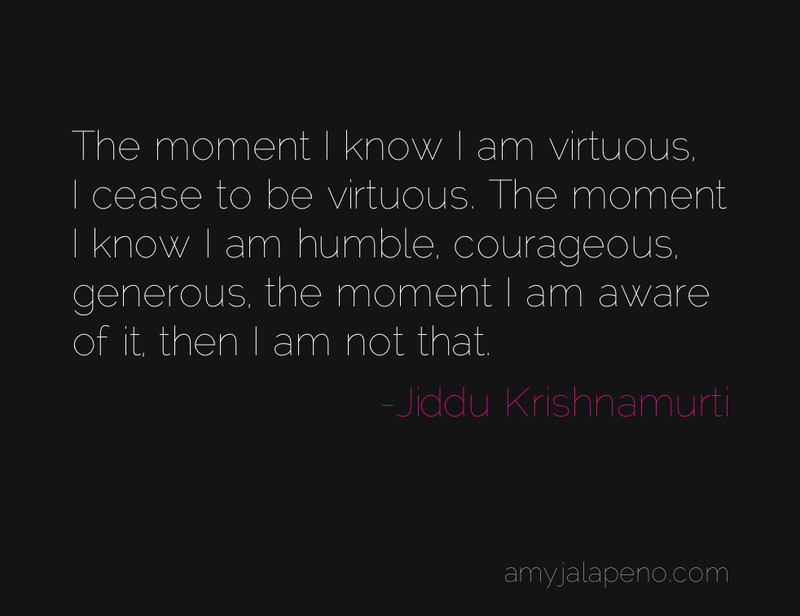 The moment I know I am humble, courageous, generous, the moment I am aware of it, then I am not that. Happiness, like virtue, is not a thing to be sought after, not a thing to be invited. Virtue, when cultivated, becomes immoral; because it strengthens the “me”, the “I”, leading to respectability, which is the self.